When you’re 14 years old, getting up at 6:00 a.m. every day – rain or shine, snow or sleet – isn’t always the easiest thing to do. But as a paperboy, getting those papers to the customers on my route was so important to me that I did it anyway, every day of the week and I always delivered on time. That strong work ethic, with its commitment to customer service, detail, courtesy and reliability, has guided my professional life from my first job as a paperboy, to my customer service position in a retail flower company, 10 years as firefighter and through more than two decades in the lending industry. Though the job titles may vary, the underlying dedication remains the same: I provide the best possible customer service to my clients, no matter what. To me, customer service boils down to one simple rule: To always treat others the way I want to be treated. So, when you are my client, expect to be treated with respect and courtesy. Above all else, I am a professional... and I will use my years of knowledge and experience to find the best loan program for your needs. After all, your home represents one of -- if not the -- largest purchases you’ll ever make and such a significant investment of your resources, finances and time is not something you want to mess around with. My no-nonsense approach means that I will use all the knowledge and resources at my disposal to get your deal done in a timely, smooth and stress free manner and communicate with you during the entire process.  I like to be up-front and education my customer on current lending practices so you are empowered to make an informed decision when looking to purchase or refinance a home. There’s a reason why I’m known as the Nordstrom’s of the mortgage industry! My professional work ethic stems in large part from my background and upbringing; as a child born into a military family – I have family members in almost all branches of the armed services, including the Air Force, Navy and Marines -- I learned the value of commitment, service and dedication at a young age. Today, I love working with veterans and their families. It’s extremely rewarding to me to help members of our military purchase the perfect home for their needs. I pride myself on providing the best possible customer service to all of my clients, whether they’re new homebuyers or seasoned investors. My current and previous customers will tell you that I am courteous, knowledgeable and a great communicator. When it comes down to it, the jobs I’ve held throughout my life – from a paperboy, a firefighter and a licensed mortgage professional – may seem different on the surface, but they all boil down to a commitment to customer service. I welcome the opportunity to assistance you in exploring the best loan for you. Contact me directly at 909-503-5600 to discuss financing options.